Recently we completed a maintenance appraisal for the Trinity Church Oxford in Philadelphia. The church purchased the appraisal to evaluate several key areas they knew needed immediate attention and ended up with not only our recommendations for remediating the emergent needs on their buildings – but a five-year plan for fixing other maintenance needs that were threats looming on the horizon. Below is the process of how that maintenance appraisal and long-term plan were developed. The church purchased our Tier 2 Maintenance Appraisal and scheduled an appointment for us to perform the appraisal. 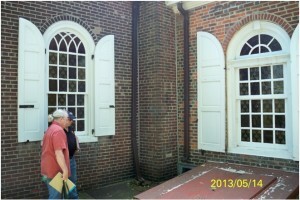 Chuck and Lois spent a morning evaluating three separate buildings on the church property – the Gathering Hall, the Church, and the Rectory/Archive building. During that appointment, Chuck and Lois recorded a detailed assessment and made thorough documentation of the current condition of the roofing, windows and doors, foundation, exterior walls and woodwork, interior features, projections, etc. Back at the office, Chuck reviewed all of the maintenance needs he and Lois had documented to compile an itemized list of specific repair work that needed to be done on the building to make sure it wasn’t deteriorating any further. Next he prioritized which needs were immediate (needing repair in the next 1-2 years), which needs were intermediate (needing repair in the next 3-5 years), and which needs were long-term (needing repair in 5+ years) for each of the areas they evaluate. The 18-page report was then submitted to the Trinity Church Oxford. After the Church reviewed our report and worked with Chuck to determine which maintenance needs they could address within their budget, they contracted with us to perform the work. 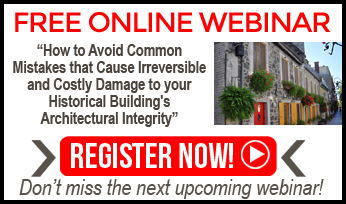 Is your historical building deteriorating? 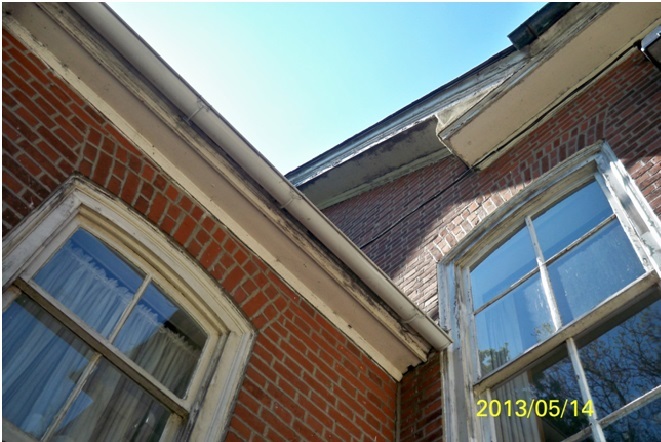 Do you need a maintenance plan for your historic home? Find out in these four easy steps: #1: Contact us to decide which maintenance plan tier is best for your building #2: Purchase the maintenance appraisal #3: Schedule the maintenance appraisal appointment #4: Sit back and have a cup of tea while we work our magic and get you’re your report! Recently we completed a maintenance appraisal for the Trinity Church Oxford in Philadelphia. The church purchased the appraisal to evaluate several key areas they knew needed immediate attention and ended up with not only our recommendations for remediating the emergent needs on their buildings – but a five-year plan for fixing other maintenance needs that were threats looming on the horizon. Below is the process of how that maintenance appraisal and long-term plan were developed. 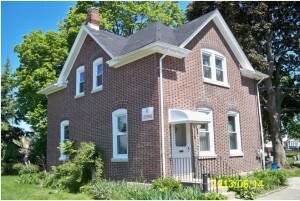 The church purchased our Tier 2 Maintenance Appraisal and scheduled an appointment for us to perform the appraisal. Chuck and Lois spent a morning evaluating three separate buildings on the church property – the Gathering Hall, the Church, and the Rectory/Archive building. During that appointment, Chuck and Lois recorded a detailed assessment and made thorough documentation of the current condition of the roofing, windows and doors, foundation, exterior walls and woodwork, interior features, projections, etc. Back at the office, Chuck reviewed all of the maintenance needs he and Lois had documented to compile an itemized list of specific repair work that needed to be done on the building to make sure it wasn’t deteriorating any further. Next he prioritized which needs were immediate (needing repair in the next 1-2 years), which needs were intermediate (needing repair in the next 3-5 years), and which needs were long-term (needing repair in 5+ years) for each of the areas they evaluate. The 18-page report was then submitted to the Trinity Church Oxford. After the Church reviewed our report and worked with Chuck to determine which maintenance needs they could address within their budget, they contracted with us to perform the work. #4: Sit back and have a cup of tea while we work our magic and get you’re your report!